*Disclosure: Travel Expenses were sponsored for this event. 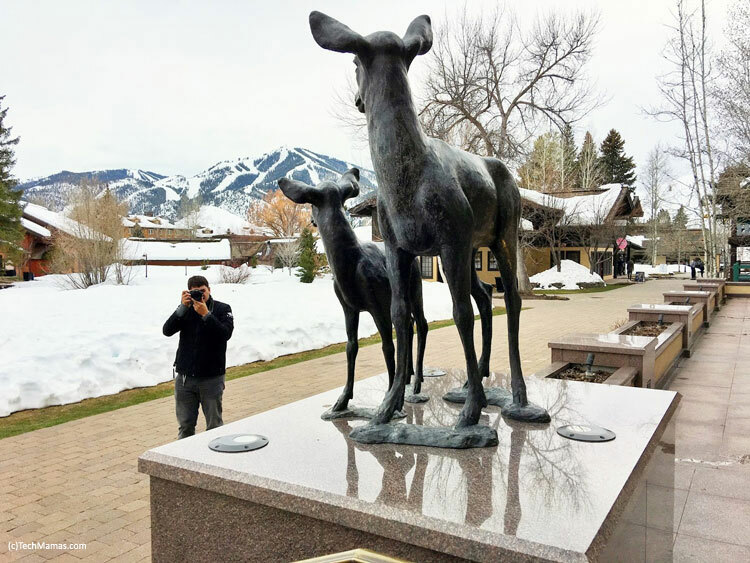 Sun Valley Idaho is one of my favorite vacation spots, so peaceful, beautiful and picturesque. 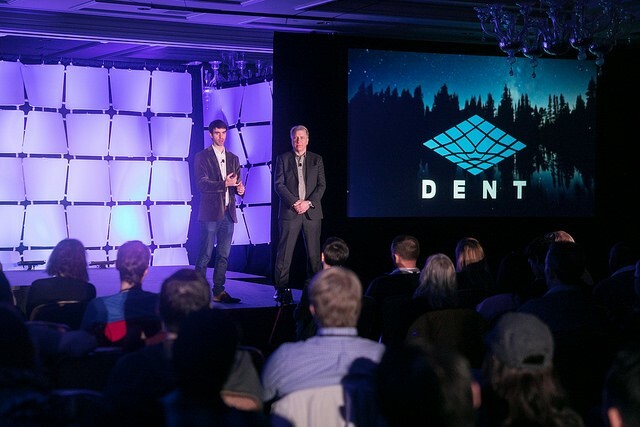 It was also this year’s location of The Dent Conference, “a conference and a community for entrepreneurs, executives, and creatives who are driven to ‘put a dent in the universe.” I was thrilled to attend Dent to meet the innovators and hear their ideas, tips and inspiration. 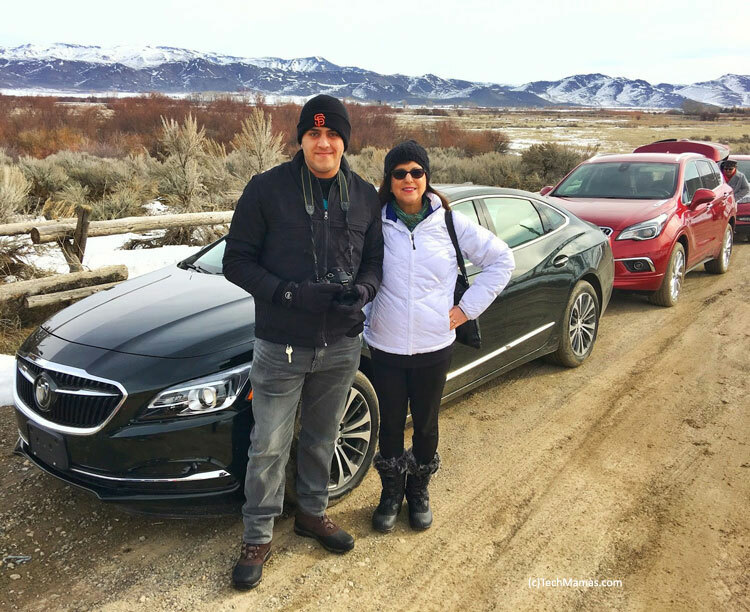 When Buick contacted me to (disclosure) sponsor my travel expenses and test drive the Buick LaCrosse and Envision through the scenic landscapes of Sun Valley, I could not resist. My life at home with three boys, in busy Silicon Valley, driving a big ole minivan is filled with not only love but also non-stop noise. Now that my youngest (twin boys) are 14, I am looking to replace the family minivan, pelted with years of sports equipment, muddy sneakers and nonstop snacking, with another car. The idea of finding a ride that provides a quiet-driving experience plus important performance, safety, tech and storage options was quite intriguing. It seems that the times between dropping and picking the kids up are some of only times I have just for me, and it is usually in my car! 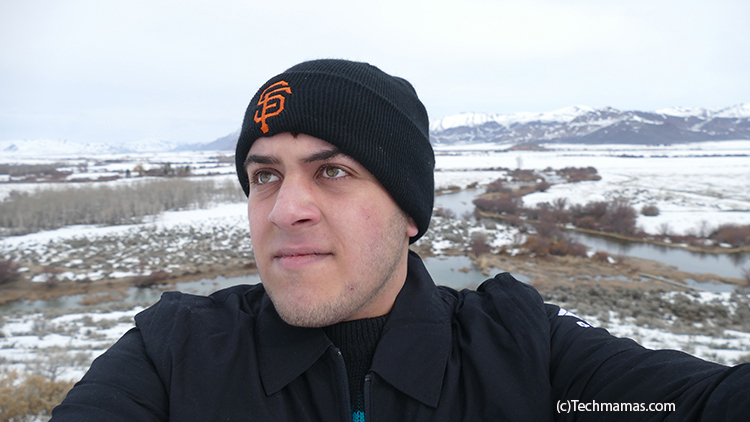 I brought my 18 year old son/photographer, Ben, with me on the trip to Sun Valley. After a good night’s sleep we showed up the next morning for a test drive. I was feeling excited with a touch of altitude sickness. Those of you who suffer from that understand that I was slightly nauseous. I had already taken an Aspirin, but it did not take care of my sensitive stomach. I was worried that the test drive, over some tough terrain, would be a bumpy ride and not good for my altitude issues. 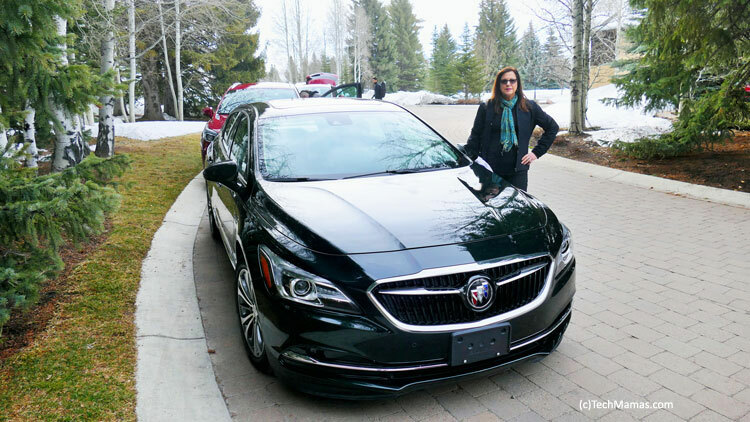 The car I was assigned was the beautiful 2017 Buick LaCrosse coupe, which fits with the style I am looking for in my migration from my minivan to a more streamlined style. The exterior has smooth lines that give it a luxurious look while having the room the full size sedan that could carry all three of my boys. The new 3.6L V-6 features “Stop/Start and Active Fuel Management, allowing the V-6 to operate as a four-cylinder in many conditions”. Along with many safety features, is lighter and has Quiet Tuning: “Lower weight also comes from new, dissipative sound-absorbing materials that are lower in mass, but provide more effective sound attenuation, resulting in a new threshold for Buick’s signature QuietTuning.” My son of course was reading about all of the car specifications and pointed out that Select trims also have Electronically controlled Continuous Damping Control active suspension (with selectable Touring and Sport modes) and Advanced, all-new dual-clutch AWD system. Also available, depending on your package, are other safety features such as Rear Cross-Traffic Alert, Side Blind Zone Alert with Lane Change Alert, Automatic Park Assist, Front Pedestrian Detection, Front Automatic Braking, Forward Collision Alert and Following Distance Indicator and Safety Alert Seat. Those features would not only benefit me, but also make me feel more comfort when handing over the keys for my teens to drive. We currently only have one teen driver but in two years it will be THREE teen drivers in our household! While I checked out all of the dashboard options, my son Ben quickly connected the Apple Car Play. 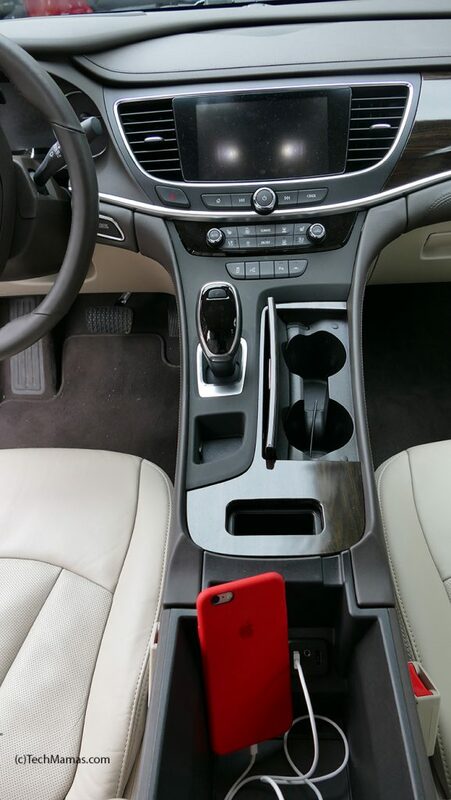 The Buick LaCrosse dashboard has IntelliLink with frameless 8-inch-diagonal color touchscreen featuring Apple CarPlay, Android Auto and OnStar 4G LTE with Wi-Fi hotspot integration. 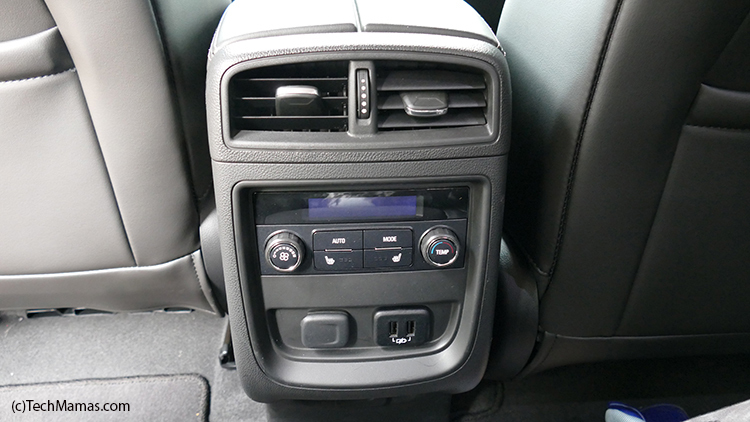 Along with the Wi-Fi there are USB ports in the front seat storage compartment and another USB plug along with temperature controls in the back seat. Options include leather-appointed front seats with new lumbar massaging feature and temperature controls for different parts of the car. The standard remote vehicle starter system and a keyless open would be really helpful because I seem to always be carrying something in and out of the car. With teen boys, it is mainly groceries. And then I could use the Lumbar massage feature to take the strain off my back from carrying the packages! 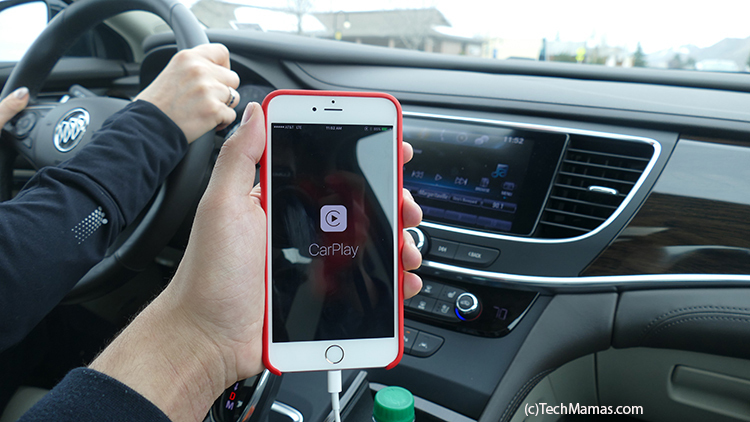 Here is my son setting up Apple CarPlay on my iPhone. Along with many dashboard features, the storage area has USB plugs to keep my phone charged while we listen to music on the go! 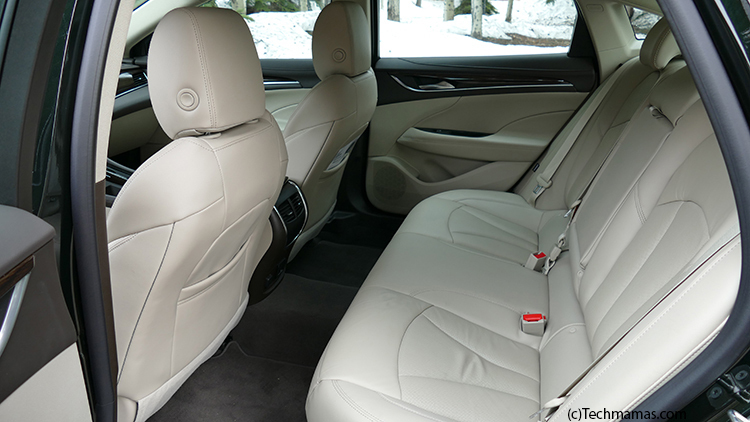 The front seat area of the Buick LaCrosse is roomy. And so is the back! 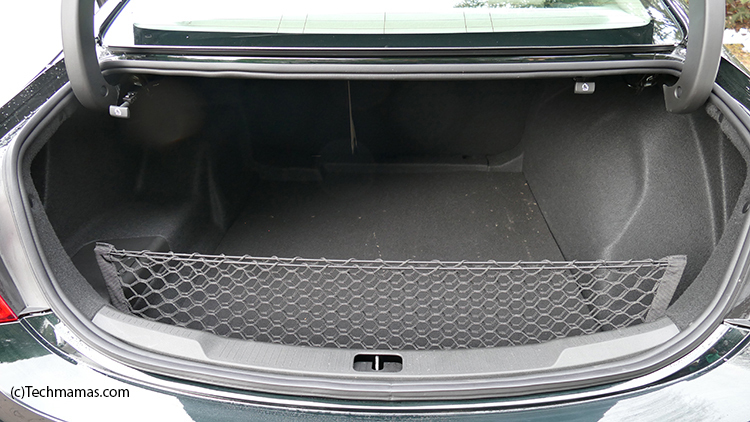 Along with a trunk big enough to hold those groceries, sports equipment and more. So – does the Quiet Tuning really work? My son found some great background music and I drove off, following the group to our tour of Sun Valley. I took a deep breath while taking in the beauty of the mountains surrounding us – and realized I could only hear the music. Seriously, no sound of the tires hitting the road, air against the car or any noise from around us. Even when we hit some bumps going over muddy terrain, the ride was still quiet. We only heard the music guiding us along the beautiful Sun Valley scenery. I forgot about my Altitude Sickness and pictured what it would be like to enjoy such a quiet ride in my daily life. After I dropped the kids off at sports, I could pop in some music and have a relaxing, energizing experience just for myself. Or better yet – have some quiet time with my boys by playing some of their favorite music, asking everyone just to experience the music and hold the screaming, fighting and brawling for outside of the car. 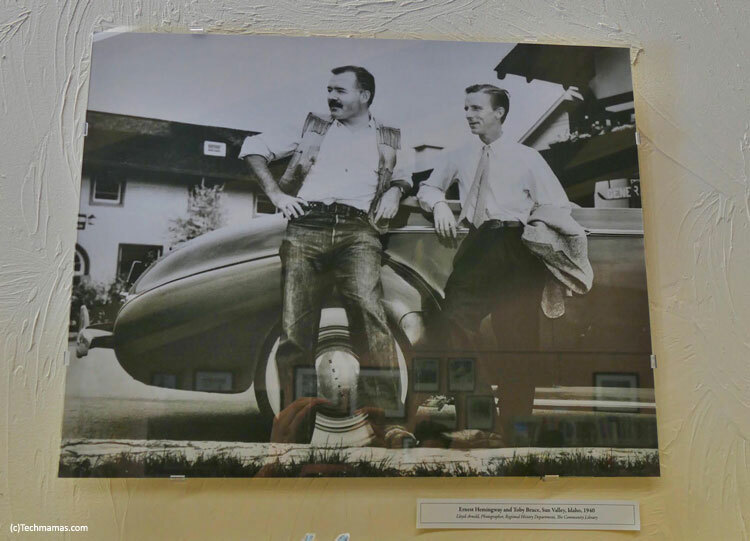 My son happened to find a photo of that adventure at the Ernest Hemingway section of the Ketchum Community Library, Idaho Library (a stop everyone should make if visiting the area!). I realized that earlier that day on the test drive, my son and I took a similar photo after we had our Buick Adventure on our drive to Silver Creek Reserve. My son enjoyed the quiet, the beauty and the open space. Coming from crowded, busy Silicon Valley, this expansive landscape with fresh crisp air was a wonderful respite. 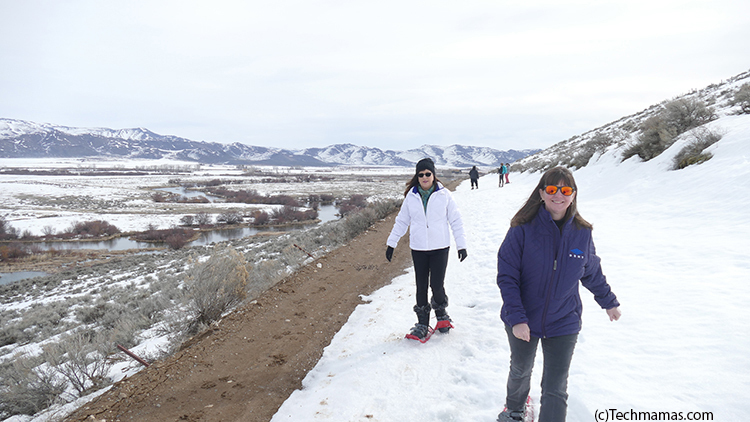 He enjoyed taking photos and even strapped on some snowshoes to join in our tour of the preserve. 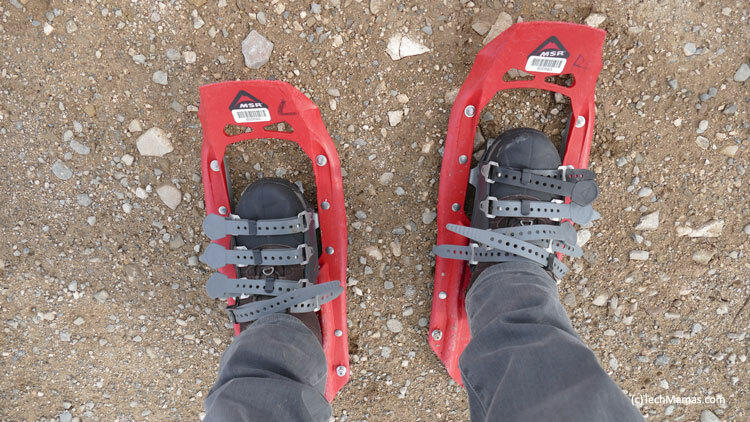 While snowshoeing, I tried to keep up with inspirational Female Astronaut Cady Coleman. Note that I was completely out of breath while she was smiling and hardly breaking a sweat. I think I need to ask her about the NASA workout! 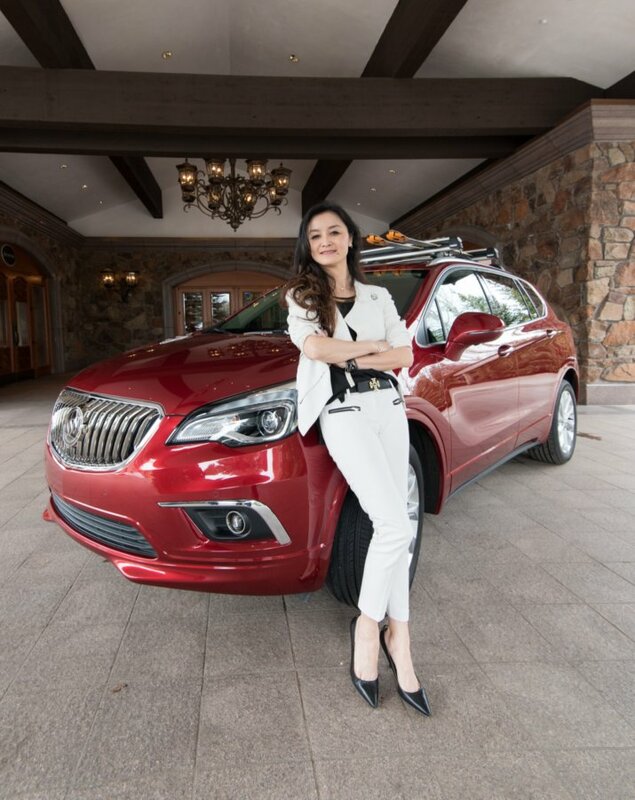 We also had the opportunity to meet other inspirational women such as Coco Zhang-Miske who is the Global Technology Planning Manager for Buick, GMC, and GM China/Global Strategy at General Motors where she is responsible for managing overarching in-vehicle technology strategy and developing ideas based on technology intelligence and trends. Coco is a great role model for women in STEM that use their unique backgrounds to achieve leadership career paths: She is an electrical engineer that earned her master’s degree in Energy Systems Engineering at the University of Michigan. Prior to attending MSU, Coco graduated from the Beijing Academy of Dance and was an actress in various TV-shows and short films! She is so interesting, I decided to write a separate post on her to explore her career path as an inspiration! 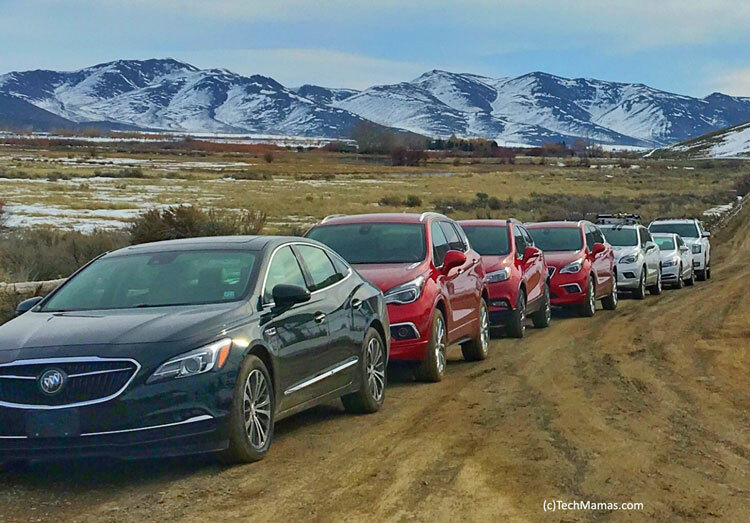 The test drive had a great group of journalists, creatives (like drone photographer ) and more who all enjoyed the combination of doing a test drive in a beautiful area, while also learning about the unique history of Buick and Sun Valley. 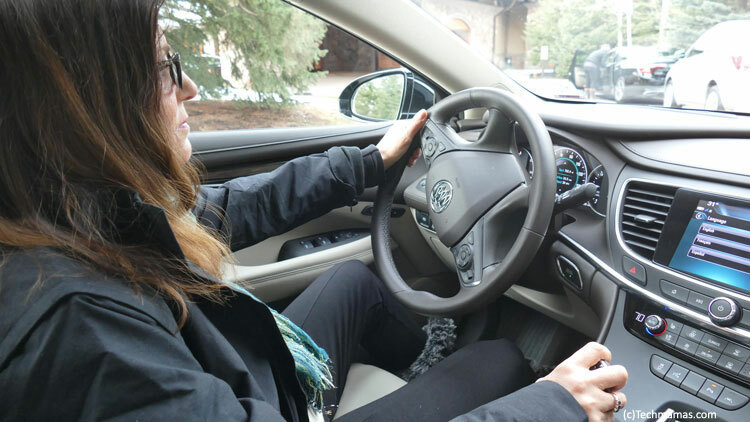 While I did not get a chance to test drive the Buick Envision, which also has Quiet Tuning technology, I did get a chance to check out the interior (which was also roomy), dashboard with Buick IntelliLink with 8-inch-diagonal color touchscreen and the spacious trunk. Safety features also include many assistance options and the Teen Driver features, allowing parents to set controls, review driving habits and encourage safe driving habits even when they are not in the vehicle. As a parent ready to get rid of the family minivan, sports utility vehicles are also top on the list of cars I am considering. As an added bonus, the Envision has a great design and snappy Chili Red Metallic exterior color. 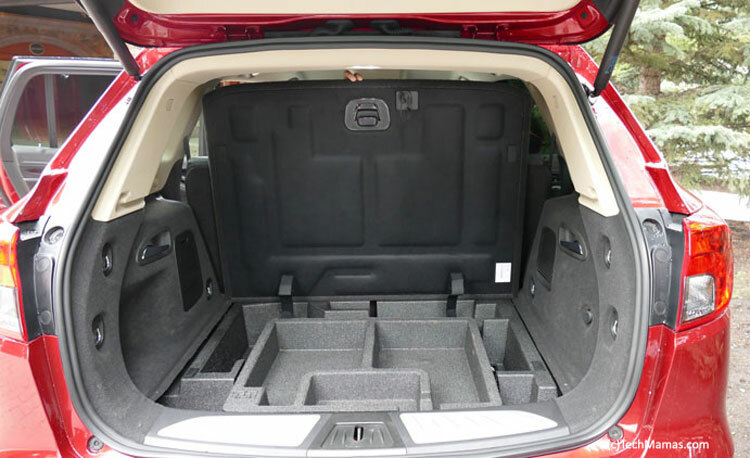 I have to say, beyond the cool color one of my favorite parts was the Envision trunk with a perfect family storage area built in and programmable power liftgate with hands-free operation. Ability to open the trunk handsfree with built-in storage smiling at me is pretty much parenting nirvana. 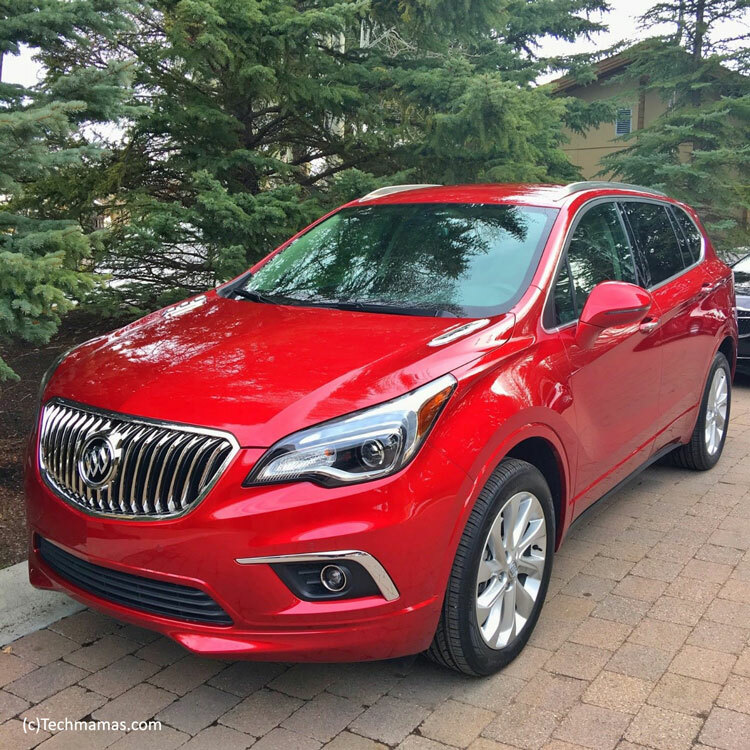 But as my car tech obsessed son pointed out, the Buick Envision has many other great features including the Apple CarPlay we experienced in the Buick LaCrosse, Android Auto phone projection compatibility and can upgrade to a Bose premium sound system. 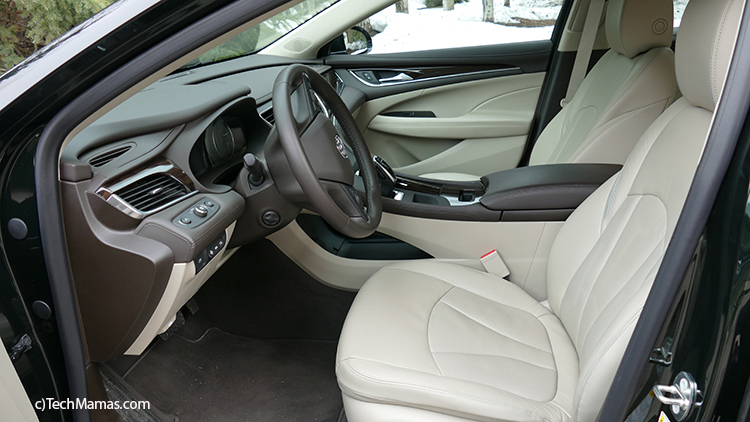 For those that like Temperature controls, the Buick Envision has heated seats and leather wrapped steering wheel, ventilated and cooled front seats, Tri-zone climate control with rear-seat controls and Dual-zone automatic climate control. Also comfort controls such as Eight-way power-adjustable front seats and four-way-adjustable lumbar, added features also include the Bose premium sound system and Panoramic moon roof. Similar to the Buick LaCrosse, the Envision also has many safety features including Teen Driver (allows parents to set controls), Safety Alert Seat, Adaptive Cruise Control, Surround Vision and Front Automatic Braking, Forward Collision Alert and Following Distance Indicator, Land Keep Assist with Lane Departure Warning, Rear Cross Traffic, Side Blind Zone Alert with Lane Change Alert and Standard rear-vision camera with Rear Park Assist. After the test drive that energized us with a great adventure, we all attended Dent The Future conference which presented enlightened ideas themed on putting a “dent” in the universe with innovation and leadership. Dent Founders, Steve Broback and Jason Preston extended the conference by also creating unique experiences for attendees that allowed people to connect and exchange ideas. What car features are most important to you? Now that I am back driving in my noisy minivan, I can’t stop thinking of Quiet Tuning technology that would make my day much more peaceful.